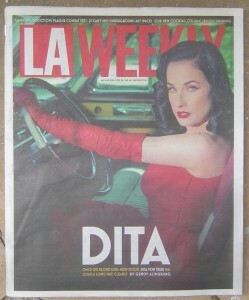 The LA Weekly is very interested in DITA this week. By the way, this is a joke. The lady above is Dita von Teese, who poses for cheesecake photos. The article is about her, not about the Darwin Information Typing Architecture.